On June 4, 1989, what started as a seven-week peaceful, pro-democracy rally turned into a massacre on the streets of Beijing. The world watched in horror as the Chinese military ruthlessly turned its weapons on its own people who non-violently demanded reform in their government, freedom of speech, and freedom of press. These demonstrators were repressed by hardline leaders who ordered the military to enforce martial law in the country's capital. Unarmed civilians who attempted to block the military's advance towards the students' camp at Tiananmen Square were attacked by troops with assault rifles and in tanks. Many lost their lives or were wounded by the Chinese military. It is unknown exactly how many, the numbers suppressed by Chinese officials. Numerous leaders of the movement were arrested. 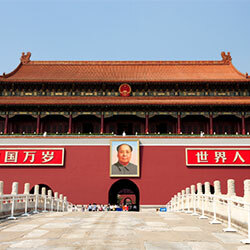 The Communist Party of China (CPC) has worked hard to erase the event from Chinese history and culture. The Chinese are forbidden from discussing what took place on June 4, 1989 and state-run media blocks or censors any information relating to the massacre. But the world has not forgotten. China needs to know that the world remembers the terrible tragedy of the Tiananmen Square massacre. Sign your name below showing you remember for the Pro-Democracy Movement in Tiananmen Square in 1989 and honor those who made sacrifices in the name of democracy in China. Their confrontation of an unjust, repressive government continues to inspire human rights activists all around the world. Photographer Stuart Franklin, who took the timeless "Tank Man" photo in the wake of the Tiananmen Square massacre, talks with Amnesty International about the importance of the pro-democracy movement and China and the power of one man's solitary resistance against the Chinese army. That's 4,243 signatures! Let's keep the ball rolling.